It’s unacceptable when a federal government agency is presented with evidence of improprieties, the official response is to confirm the improprieties and indicate they will continue. An official with the Centers for Disease Control and Prevention (CDC) says there is no reason to rewrite the agency’s policy on Lyme guidelines despite a petition demanding changes. 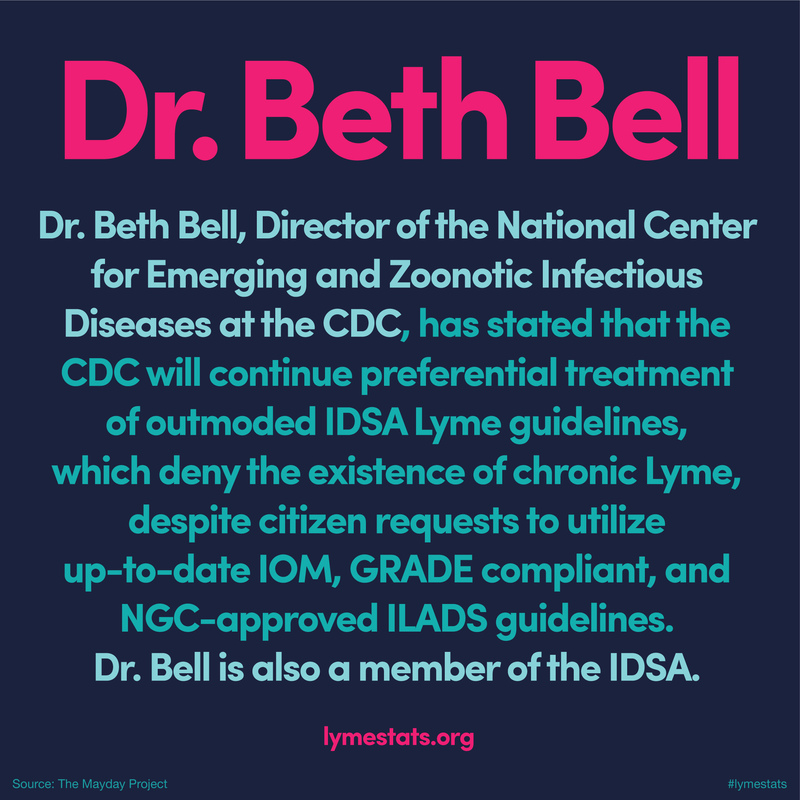 The Mayday Project Lyme patient advocacy group shared the response to the citizen petition, End Preferential Treatment of the IDSA Guidelines for Lyme Disease. The petition, filed October 14, 2015, claims that CDC provides preferential treatment to the Infectious Diseases Society of America (IDSA) by promoting IDSA’s 2006 guidelines for diagnosis and treatment of Lyme disease while withholding information from the public about more recent Lyme treatment guidelines from the International Lyme and Associated Diseases Society (ILADS). Bruce Fries, a member of the Mayday Project and lead author of the petition says, “Even more troubling is that Dr. Bell, who endorses the preferential treatment of IDSA, is also a member of IDSA—a clear conflict of interest"
The petition claims that CDC’s preferential treatment of IDSA harms thousands of chronically ill patients, who are frequently misdiagnosed and denied medically necessary treatment because of restrictions imposed by the IDSA guidelines. It adds that CDC’s failure to provide equivalent exposure for the ILADS guidelines compounds the harm by limiting access to information about evidence-based treatments that could help these severely ill patients recover from this devastating disease. The Mayday Project was formed by a group of volunteers who have been touched by Lyme disease. Mayday advocates for more accurate tests, better guidelines, improved access to treatment, improved education for physicians, and more funding for research. For more information, visit www.themaydayproject.org.